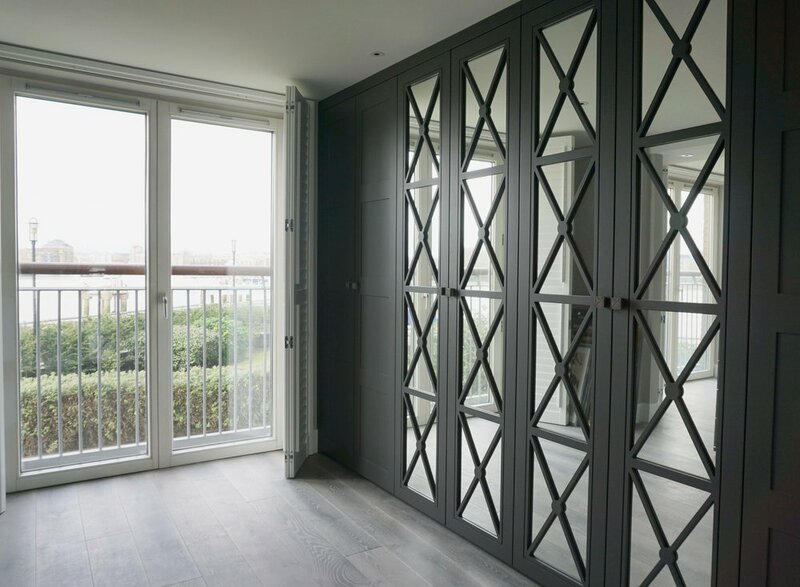 Our clients came into our showroom looking for storage solutions throughout their city pad overlooking the River Thames. They were downsizing and wanted to make the most of the space they had available and knew that Neatsmith would be able to help. In the living room we created an elegant living room unit incorporating a space for their TV, with open shelving to display ornaments and closed spaces to store away other items. We kept a modern theme to complement the current interiors in the room and used our Graphite and Ardesia Lacquered finishes for the doors. 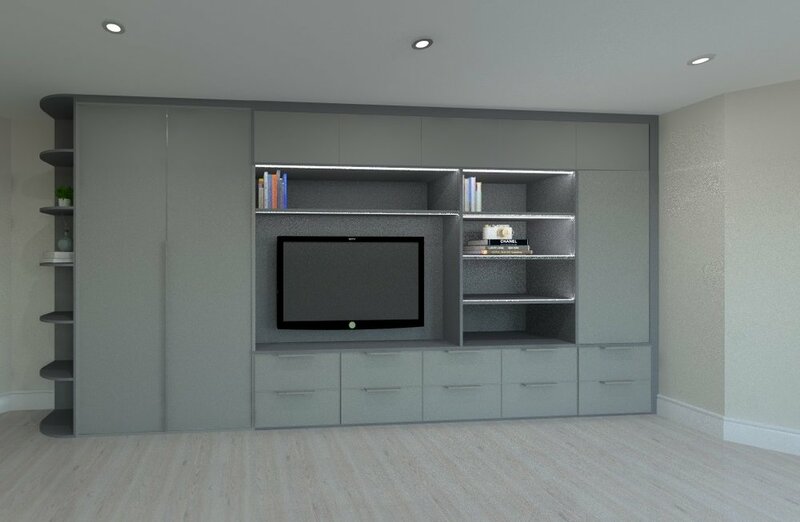 The client requested to have a rounded corner shelving unit so that the room didn’t feel closed in when entering the room. 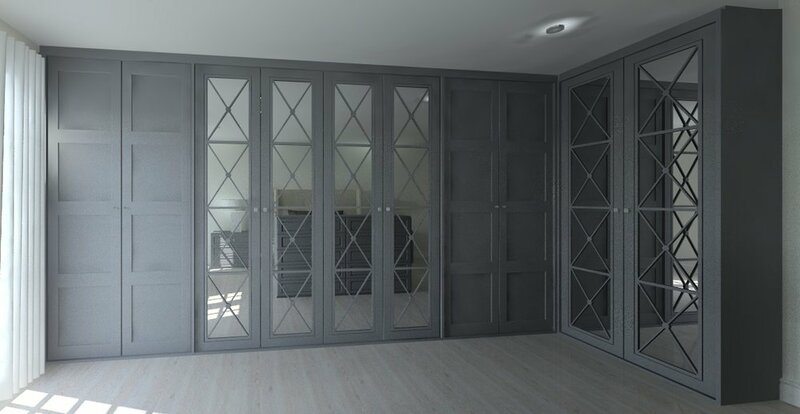 We utilised the space in their master bedroom with an array of beautifully fitted Graphite Matt Lacquer Shaker and Castille Wardrobes creating a traditional and homely design. 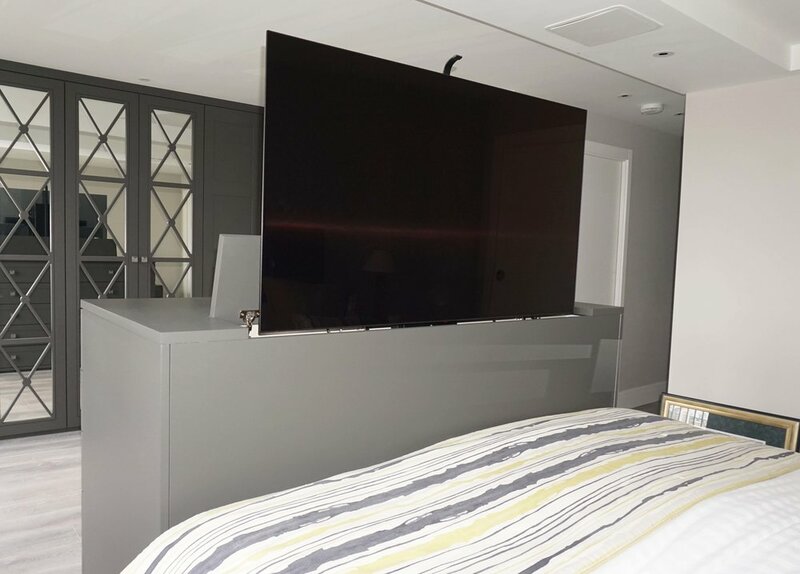 For additional storage in the bedroom, with created bedside tables and a drawer unit that incorporated a TV lift to neatly tuck away their TV.